I love our new team shirts!! Claire Lynn made them for us. Their shirts are great! You can check out all of their stuff here. Our school is doing a game theme this year so we chose Candy Land. Love it! I need to get my team on board and create a t-shirt design. That would be fun! 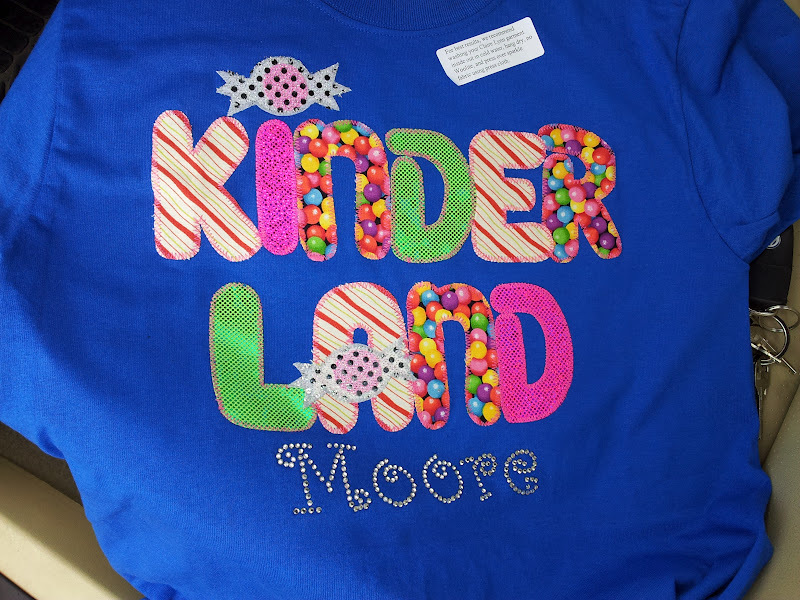 My K team bought them at her booth at I Teach K! in Vegas. She was super nice and the shirts are really cute! Mine says Kinder Rocks. I would totally buy from her again! Your shirts are really cute!! Love the shirts! I love making shirts for different events! Thanks for sharing! If you have a minute I'd love you to check out my new blog!